After the long journey and the race to build the tent, blow up the airbed and set up the camp chair you have some time to relax and enjoy your camping experience. This will only last so long, then the need to explore will kick in and the need to see what is going on. What do you find on a campsite that will attract people to use it; after all they are a captive audience. Toilets – portaloos, the long drop, urinals, the hunt for porcelain and double velvet is never ending. Showers – in this day and age people do use them on a campsite, unless you are a fan of the baby wipe. Market stalls – sunglasses, camping equipment, gas masks? You can buy it all. Camping areas are like your house, where you base yourself, sleep, and rest; where you are safe. You keep all your belongings there and is the start and end of your journey. The fire lanes are your paths and pedestrian carriage ways. 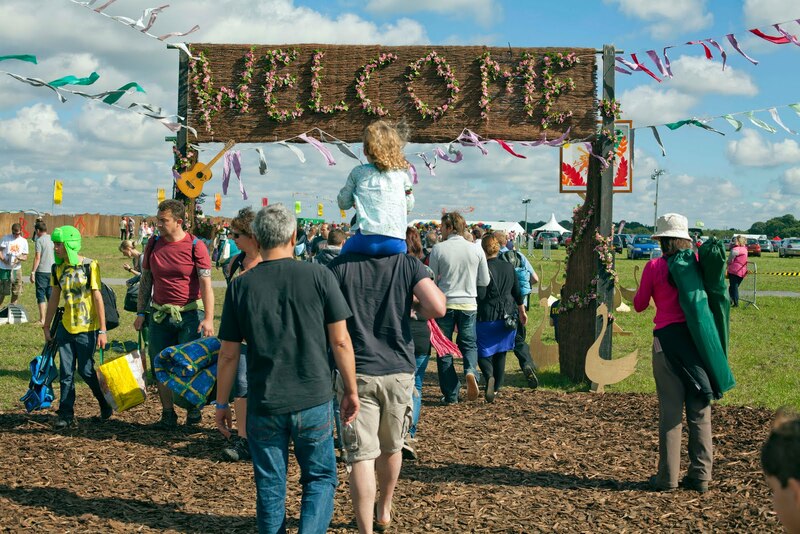 Allowing you to access all areas of the campsite and guide you around. Food outlets are the 5 star restaurants where we can dine on the delights of the world and give yourself the energy to party though the night. When the hangover or munchies kicks in you can cure that desire; or most likely you will have a burger. No matter how much stuff you take with you, there is always the temptation to shop. There is always the need for a cool pair of shades, summer hat, wellies, t shirt with some slogan relating to drug use or a gasmask; seemed like a good idea at the time. 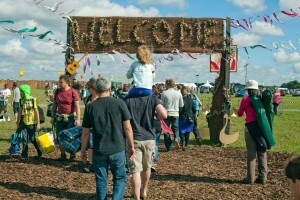 As the festival is a once a year event, customers want to make the most of it. This means nonstop entertainment, the means to spend money in the pursuit of happiness and those memories that we will carry with us for the rest of our lives. Toilets are the one part of a festival campsite that put a bit of a spanner in the mix. The days of outdoor toilets vanished with the black and white TV, but on a campsite it is the only place to go; well, where you are supposed to go. Every campsite will follow the guide for its licence requirements and supply enough toilets for the people attending. 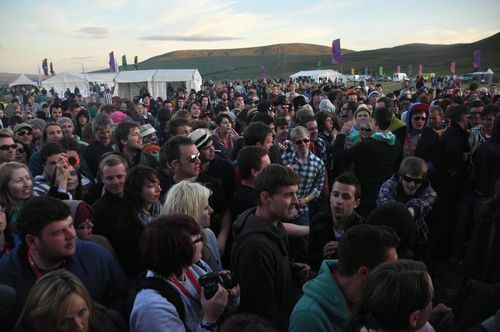 The festivals tying to improve will add additional toilets to try and make the conditions better for the customers; there will still be queues though. Why are there queues all the time? When the guides where put together they did not take into account the amount of beer/cider that each and every person will consume. This leads to multiple trips to the loos or till you get too drunk and the nearest bush or behind the tent will do. The amount of females now attending festivals. Nothing wrong with that, but it takes a female longer to use a loo than a male. We are not going into this discussion, but we will all agree that this is true. We now have our basics, so let’s look at the DIM model. Each camping area is accessible from all sides; a customer can make their way around the exterior of their camping area gaining entry to it from different directions. There should be more than one fire lane leading to each campsite. Giving the customers options in which direction they choose to move about the campsite. Toilets should be located in the areas around the camping area, if possible off the footways leading from other campsites; preventing the casual passer by using them. If in an area with heavy footfall this can lead to queuing and over use. Where several campsites converge, the fire lanes will have to be wider to accommodate the volume of people passing through this area. Where possible fire lanes should gradually feed into larger walkways, discouraging the convergence of paths at one point. Avoid major routes on steep inclines; in bad weather the ground conditions will deteriorate quickly, use will be limited, flow of persons will slow, risk of slip and fall greater. Food outlets should be placed in areas of lesser footfall and queue do not cross the footpaths; so blocking it. Toilets should be located in a similar way, preventing queuing across the footpaths. CCTV will allow focused cover and data capture of areas of concern and heavy foot fall. Locating viewing platforms in the inner areas of the campsite will allow a raised area to oversee crowd movement at peek times. Providing a different point of view. Walk around the campsite before it is open to understand the gradient of the land. Do this again when the customers are using it to understand how they are adapting to the land. Vehicle curfews in periods of mass movement should be observed. The same goes for bad weather and ground conditions. A campsite will have movement around it at all times of the day, from the middle of the day as people head to and from the arena to the early hours of the morning and the drunk zombies looking for a Blue tent. There will be continuous ingress and egress and people head to and from the arena. Unless an act in popular and everyone is on the campsite, the ingress will be gradual. At the end of the night though, the egress will be significant. There is a possibility you will receive over 75% of your customers back within a small window of time. You can slow this down by leaving the food outlets open in the arena and the fun fairs to distract a percentage. There is a reason the majority will head back to the campsite though, they may need additional clothes when it gets colder at night, to refuel the lack of beer, to meet friends that got lost in the arena, to gather around in a group and share the stories of the day or god forbid – to go to bed as its been a long day. It is for this period that your entrances/exits to the campsite have to be built. They must be able to allow the smooth passage of the masses through with as little hindrance as possible. It is also worth noting that this will be in the dark, so good lighting is required. This will allow the lost to find their way, even the drunk ones still wearing sun glasses. Ground condition play a big part of the movement of people during a festival. If the sun is out the ground will kick up dust and be hard on the feet. All rocks and stones become trip hazards and can cause injury. At the other end of the scale we have rain and mud. Mud can slow the walking rate of a person down substantially; fear of slipping and falling and tiredness as it is harder to walk through. It has been observed that it could take a person up to twice as long to walk the same distance in the mud as it normally would. After all the fun of the weekend is done, we have to get ready for everyone heading off home.